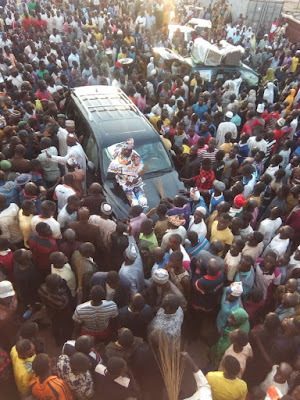 The attention of Yaman Support Group has been drawn to a sponsored publication wherein, one aspirant claimed that he was endorsed by elders of Kwara North. The said publication is false in every sense you can describe it. Since we launched out campaign in the North Senatorial District, we have received unprecedented support as it could be seen in the number of people that throng our campaign venues. Our party will be favored and coast home to victory, very easily should we pick from the north that have resolved to support any of its own seeking the office of the Chief Executive of the State. Alhaji Shuaib Yaman Abdullahi remains the choice of every progressive Kwaran who is desirous of development. The mammoth crowd that thronged his campaign everywhere is a testament to his acceptance amongst all shades of people.